Storage pocket made by Nakamae of Japan. 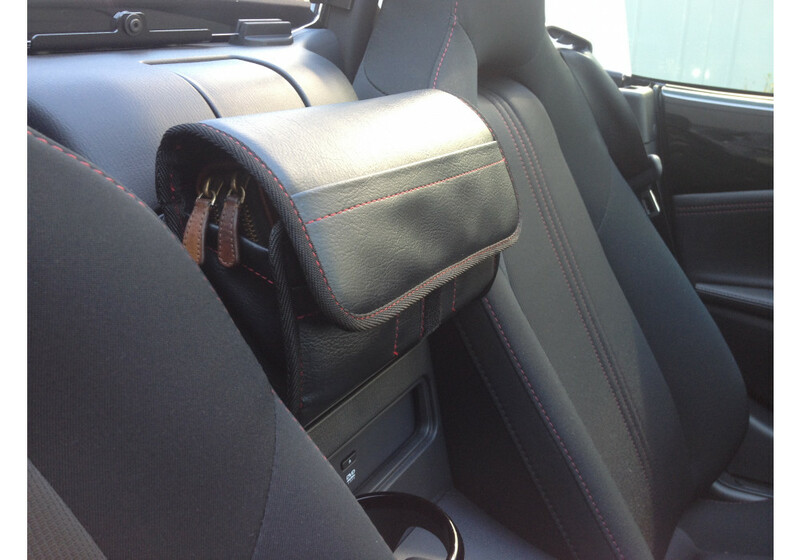 This storage pocket is custom made for the ND Miata, designed to fit between the seats. 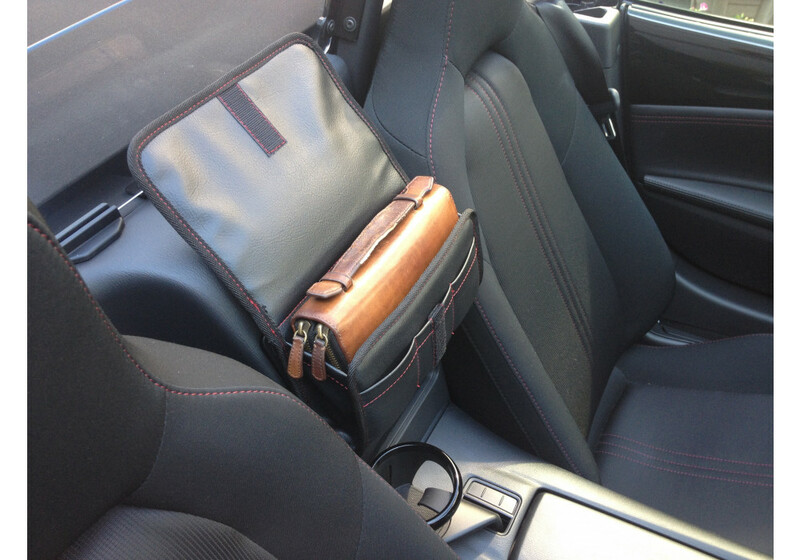 The pocket is also large enough to fit a small~medium sized bag. 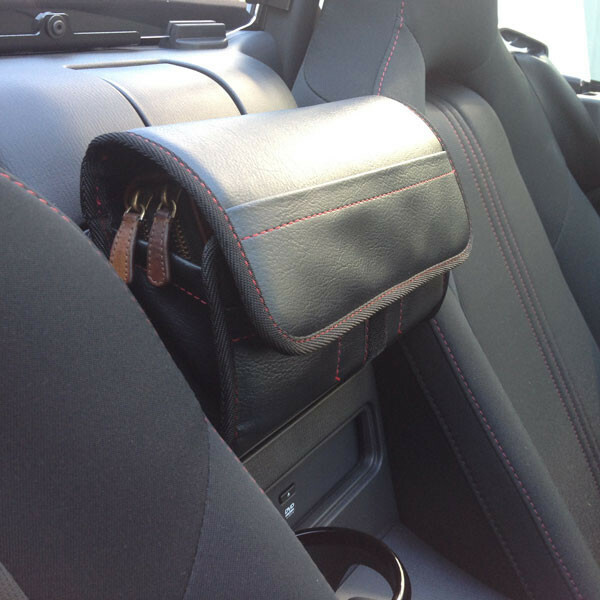 The pocket comes in black with red stitching to match the Miata’s interior; but different colors can be selected for the stitching. 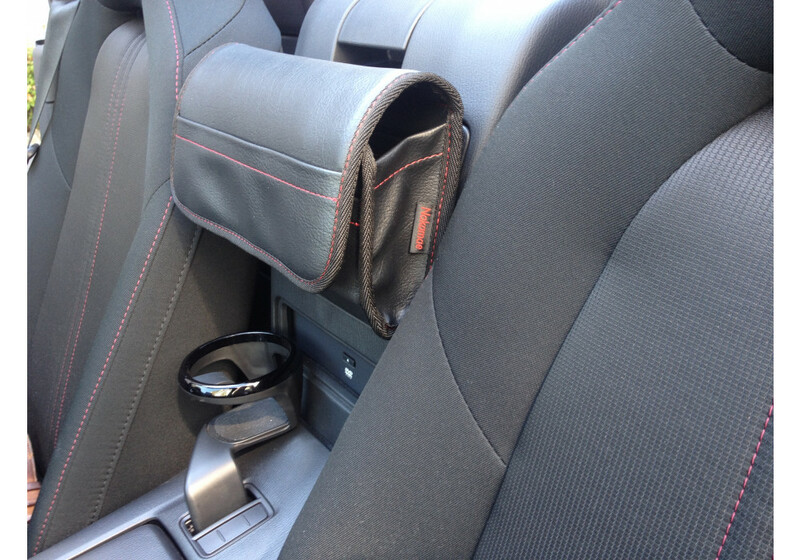 It is installed using Velcro tape and the rear glove box will still open after it's installed. Nakamae Auxiliary Pocket should be ordered at REV9 Autosport https://rev9autosport.com/nakamae-auxiliary-pocket.html as they provide the best service and speed we've seen so far! 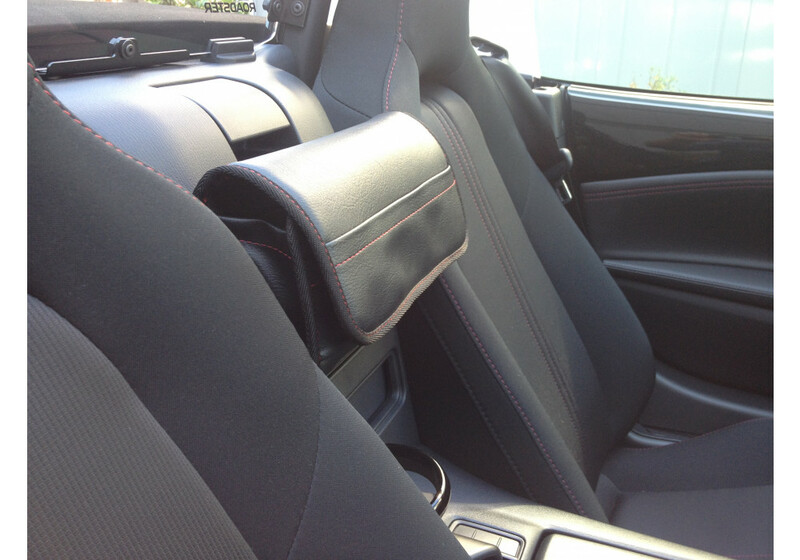 Yes, it's made especially for the ND 2016+ MX-5.